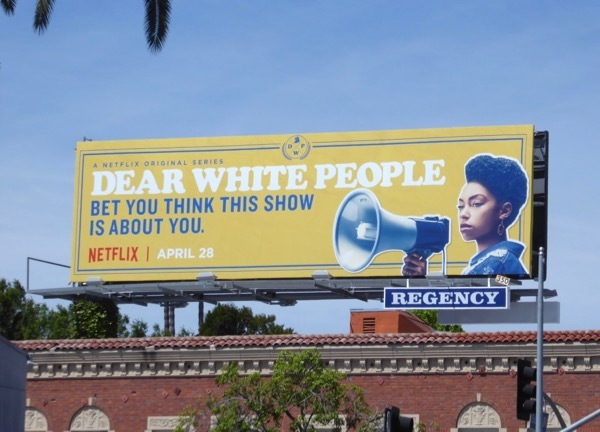 Dear “Dear White People” People… – Hey! That’s My Hummus! Yes. It’s been several weeks. We’ll get back on track soon. You trust us, right? We both have watched the new Netflix series “Dear White People,” a 10-part sorta-comedy about students at the fictional Westminster College where, in 2017, the student body realizes that, even on a progressive campus as theirs, racism still exists. How do the characters interact? Does this show get white people defensive? In fact — what have some of the reactions been to the show itself? We also talk about the different sub-groups within our own cultures and how they compare and contrast. What do you think? Have you seen it yet? Have you commented? To us? On our Facebook Page? On Twitter: @thatsmyhummus? And have you reviewed us on iTunes? Written by: shiny on May 18, 2017.